The natural beauty of Woodlawn's 160 rolling acres is unparalleled in northwest Ohio. 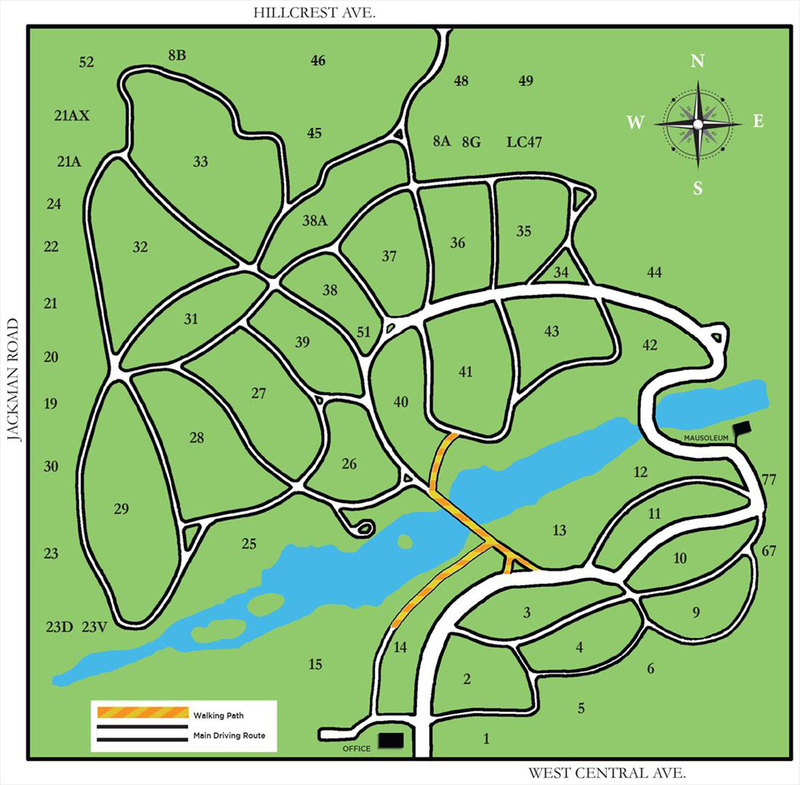 Cemetery lots are available throughout the National Historic Site, on hillsides, in open areas or areas thick with majestic, tall trees. Lakeside lots appeal to those who wish to own property near water. Lots are pre-designated as "marker" or "monument" spaces. For future use, 47 acres remain completely undeveloped. Woodlawn offers lots in a variety of sizes, from single to family-size. Groups and organizations may purchase lots in sections as well. The cost of the lot includes the perpetual care of the space. Anyone who owns property in the cemetery is considered a member of the Historic Woodlawn Cemetery Association. 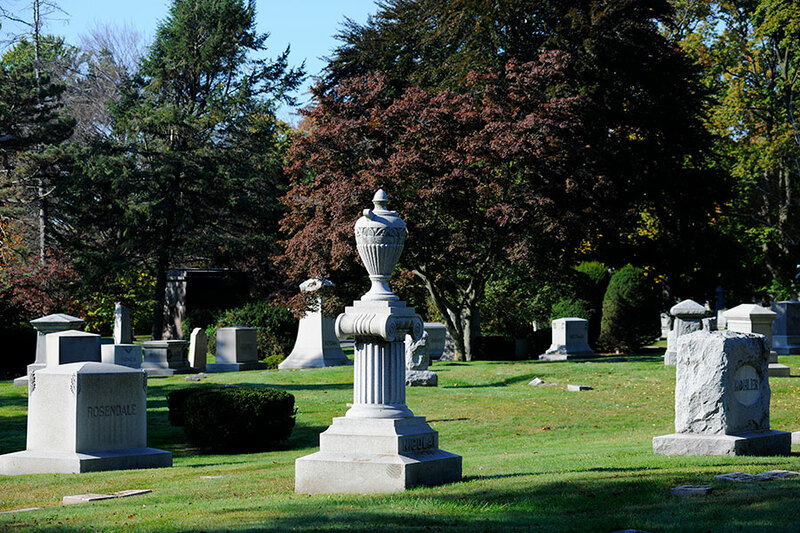 10% of the purchase price of cemetery property is automatically invested in a Perpetual Care Fund, the proceeds of which are used to mow and trim and generally maintain the property forever. As a private, non-profit association, any profits from products or services provided by Woodlawn are re-invested in the maintenance, restoration and preservation of the cemetery, a National Historic Site. For information on choices in Cemetery lots, please call 419-472-2186 and ask to speak to a Family Advisor.